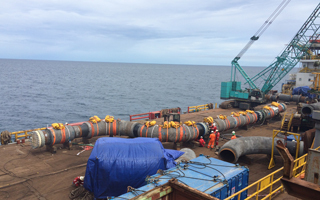 We specialise in Submarine Cable Route studies and Surveys of the Inshore-Offshore transmission cable system. 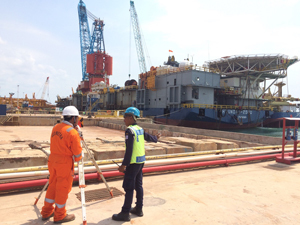 We provide inspection services for Oil and Gas Pipelines and Subsea structures and also Positioning services to support global Oil and Gas Pipelines, Submarine Cables and Rigs Mooring operations. Geometra provides high-precision millimetre level real time positioning as well as decimetre positioning services with the latest RTK and DGPS+PPP technology. RTK technology can provide millimetre horizontal and vertical positioning accuracies for high accuracy marine construction applications and DGPS+PPP positioning can be used in applications which need decimetre horizontal position accuracies. Geometra carries out high-accuracy control surveys in remote areas using the latest advancements in GPS technology to provide “basic control” or horizontal and vertical positions of points to which supplementary surveys are adjusted. 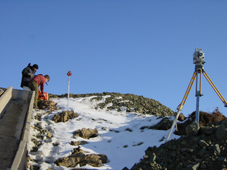 Control or geodetic surveys are conducted in line with industry standards by qualified experienced staff to provide geographic positions and plane coordinates of triangulation, traverse stations and the elevations of bench marks. These control points are further used as references for hydrographic surveys of the coastal waters and for topographic control surveys. Geometra provides integrated AHT and BMS tug/barge management systems for installation and work barges which may be self propelled or towed. In addition to precise navigation, work barges need continuous up to date information on lateral or forward / backward movement so that action can be implemented should anchors cease to hold or other possible problems arise. 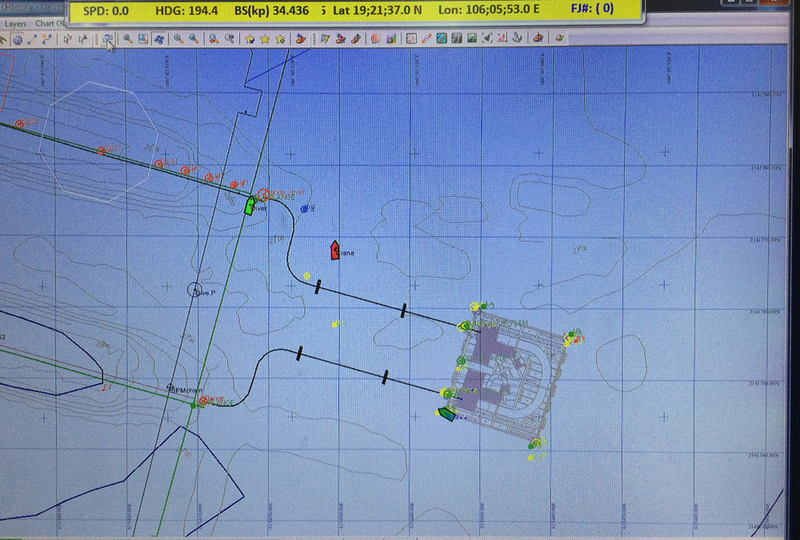 With proprietary barge management systems (QINSy and HydroPro) and other commercial software systems Geometra is able to provide accurate positioning for these works. 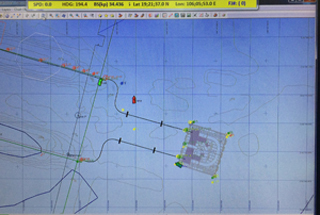 Precise position is the fundamental parameter for all survey and engineering operations offshore. Geometra’s innovative solutions and expert staff have ensured a quality controlled and cost effective product and service to the offshore industry for more than 30 years. 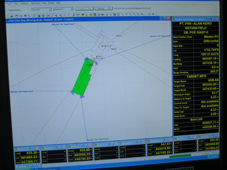 Geometra has immense experience in performing surface navigation and subsea metrology. 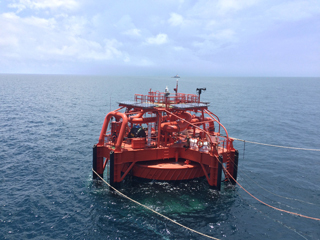 Specialized inertial and acoustic metrology techniques are employed to accurately measure distances, elevations, and orientations of connecting surfaces of Subsea Assets (PLEM & PLEM Piles, Spool & Anchor Piles). As the spool piece is fabricated, Geometra survey engineers ensure precise adherence to all measurements. 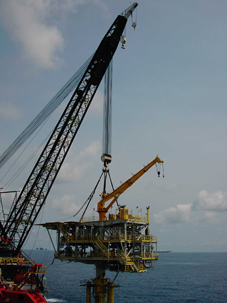 Comprehensive positioning services are provided for the subsea assembly process. 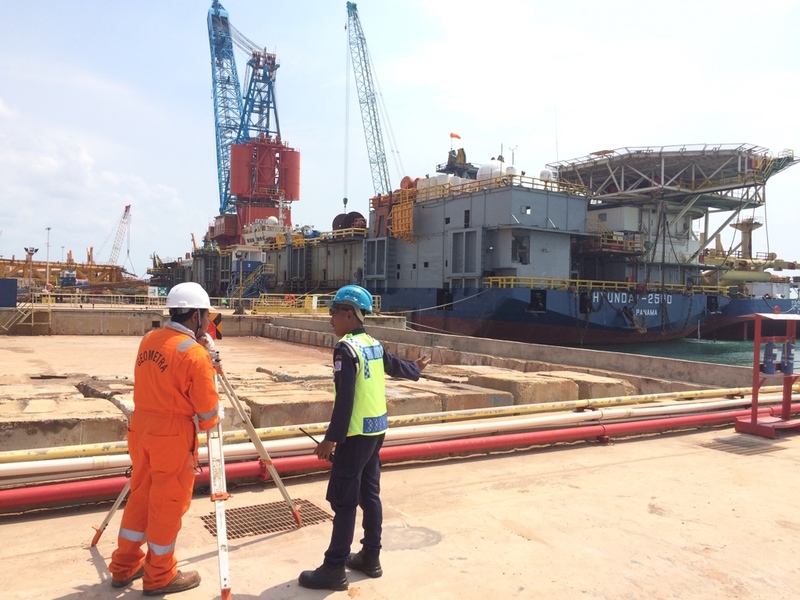 These include derrick barge positioning, diver positioning, and ROV positioning etc. 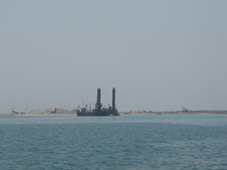 Geometra provides full fledged multidisciplinary dredging surveys as a part of its survey services. This includes geophysical surveys, experimentation studies for optimization of dredging, hydrographic surveys, recommendations on dredgeability and estimation of dredged quantities etc. Geometra is a leader in high-accuracy sub-sea navigation and positioning. Using Long Baseline (LBL) and Ultra Short Baseline (USBL) technology Geometra’s systems can be readily configured for all underwater operations, long-range ROV / Tow-Fish tracking and for positioning of structures in deep water.